Overlooking San Francisco's Nob Hill, this 136-room luxury hotel and spa offers guests an award-winning restaurant. Luxury boutique hotel features on-site exercise facility, access to indoor pool and massage therapy, and fine dining. Featuring luxurious European influenced décor and luxury accommodations, this 336-room Ritz offers several dining spots. Elegant hotel near Union Square, the Park Central Hotel San Francisco features state-of-the-art fitness center, massage service and restaurants. Chic luxury hotel features in-room spa services, a state-of-the-art fitness center as well as fine dining. Contemporary luxury hotel features state-of-the-art fitness center, Bliss Spa as well as both casual and fine dining. Hotel’s 552 guest rooms feature luxury accommodations including flat-screen TVs and offers several fine dining venues. A translucent blue 32 story tower, this smoke-free hotel has 550 rooms, spa, and fine dining. A mixture of timeless elegance and high style, this landmark San Francisco hotel is in the heart of Union Square. Opened in 1926, this historical hotel at the top of Nob Hill has 382 rooms and Top of the Mark Restaurant. 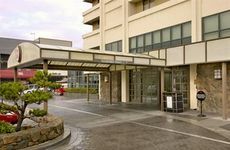 Set along the charming and historic San Francisco Bay, the hotel is within easy reach of San Francisco Int'l Airport. Spirits and serenity fill the Edwardian-style Majestic, San Francisco's oldest continuously operating hotel.